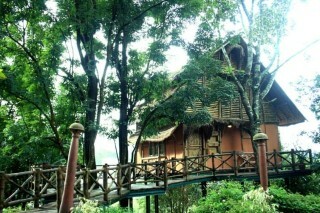 This tree house constructed out of thick bamboo shoots has a single bedrooms and features modern bathroom amenities. 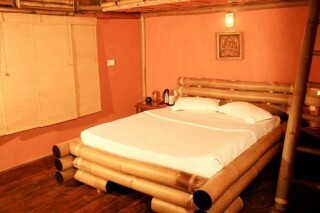 Built in atop a lush meadow of overlaid stones and indigenous flora, it is furnished with a comfortable bamboo logwood bed, domestic blinders for curtains, and a cosy coffee table set outside by the tree trunk. It is conveniently located at a short walking distance from a restaurant which is locally famous for its authentic spread of Kerala dishes such as lamb stew, appams, and puttu-kedala. Apart from savouring the native cuisine, scaling the nearby Chembra Peak shall be another local adventure that you will be checking off your to-do list with the help of the professional guides here. 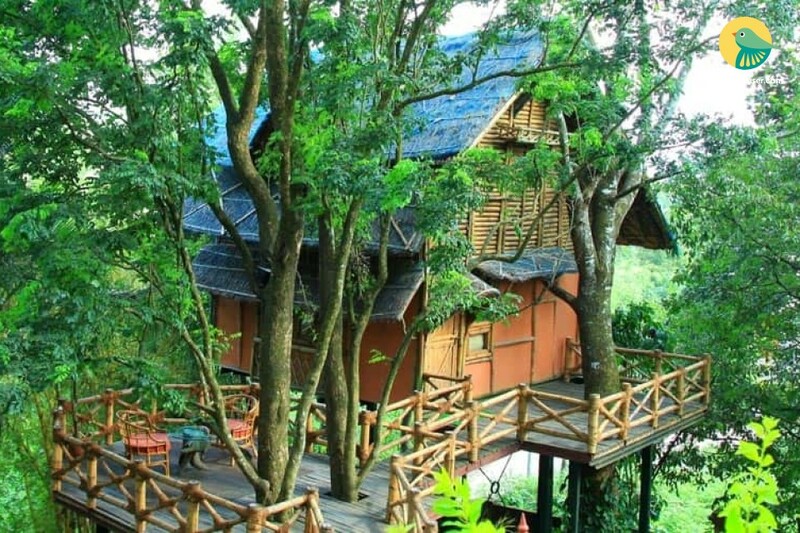 This Cottage has Tree House & is set amidst its manicured garden. 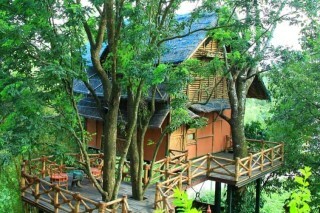 It is set 20 feet above the ground. 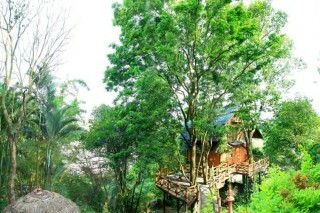 The Tree House is completely made out of bamboo to avoid deforestation & even the staircase that leads to the Tree House. Places to visit: Karapuzha Dam - 14.6 km Pookote Lake - 15.1 km Edakkal Caves - 24.5 km Meenmutty Waterfalls - 32.8 km Soojipara WaterFalls - 24.9 km Banasura Sagar Dam - 22.2 km Kuruva Dweep - 33.7 km Muthanga Wildlife - 36 km Chembra peak - 24.8 km. Kanthanpara Water falls - 21 km. Sunrise valley - 26.9 km. Phantom Rock - 16.7 km. Bathery Jain Temple - 21.1 km. 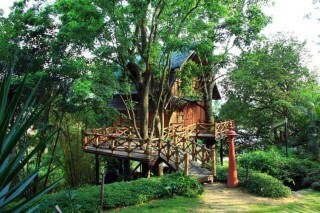 Most comfortable tree house!! 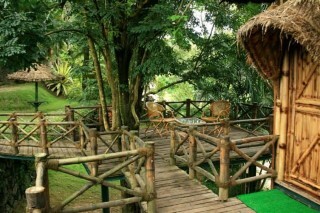 So beautiful...comfy and cozy!! Kozhikode Railway Station - 75.8 km. Puliyarmala Bus Station - 1.8 km.